Organization of Eastern Caribbean States (OECS) also have their own CBI programs and are faced with their respective challenges. Most notable are St. Kitts & Nevis (the longest running program in the OECS group), Antigua and Barbuda and St. Lucia. While all these programs provide short to midterm opportunities to address budgetary shortfall and operating difficulties, CBI cannot be considered a long term sustainable developmental strategy. 1) Opaqueness - this makes the program susceptible to abuse. While Dominicans are always directed to gazette to receive information, the number of non-native Dominicans who hold Dominican Citizenship remains a mystery shrouded in intrigue. This has been fostered by lack of guidelines regarding the number of citizenship that should be issued, either yearly or over a specified period. 2) CBI depends on continuous passport sale, with no end in sight. A predictable consequence of open-ended sale of citizenship is absence of a sunset period. This could theoretically lead to non-native individual outnumbering native Dominican in a few years. The social and political consequences are complex and carry great risks , including racial tension, ethnic conflicts and other unpleasant acts that maybe committed against less powerful in society. From the perspective of the current Administration, this is inconsequential as they are of the mindset that 'Dominicans are not particularly nationalist'. 3) Lack of Residency Requirement. Most purchasers of passport through Dominica's CBI program have never visited the island. At present, most have no intention of ever living in Dominica. The passport is purchased to permit travel to larger countries that otherwise would not be accessible to them. Unfortunately, this non-residency aspect posses many risk to Western Countries, which accept Dominican passport without need for Visa. Interestingly, defenders of the OECS CBI program usually point to US and Canada Programs. However, this is a grossly inaccurate and inappropriate comparison. The US and Canadian Programs are Residency by Investment program; you have to be in the Country and invest in the Country before you can apply for citizenship. 4) CBI programs disproportionately benefits passport-selling agents and the Ruling Political Party. The extent of Diversion, from the Treasury is unknown but, may be substantial. It is noteworthy that in Dominica, a handful of agents and persons affiliated with the CBI Program have come into view as the emerging wealth barons who are purchasing multiple homes / properties, own multiple business and in short order are manifesting a lifestyle in-congruent with known income stream. In the meantime, the rest of the island is left to get by on the crumbs of the program. 5) Administration of these CBI programs, through reckless operation, places International Banking Organization at undue risk. This is a particularly stark reality for Correspondent Banks, which have been rapidly severing ties with risky financial and governmental institutions in Dominica and the rest of the Caribbean. In Dominica, the Labor Party Administration finds itself in the unfortunate and untenable situation whereby, International Banking Institutions no longer wish to do Business with the Government and have closed Accounts as part of de-risking measures. The Minister of Finance, Prime Minister Skerrit, has yet to advance a plausible explanation for closure of government accounts at these International Banks. 6) In Dominica, disbursement of CBI Funds is grossly imbalanced and tilted towards hotel development and tourism. Currently, there are at least 5 hotels projects in various stage of development, that are primarily or completely funded through CBI passport sales. 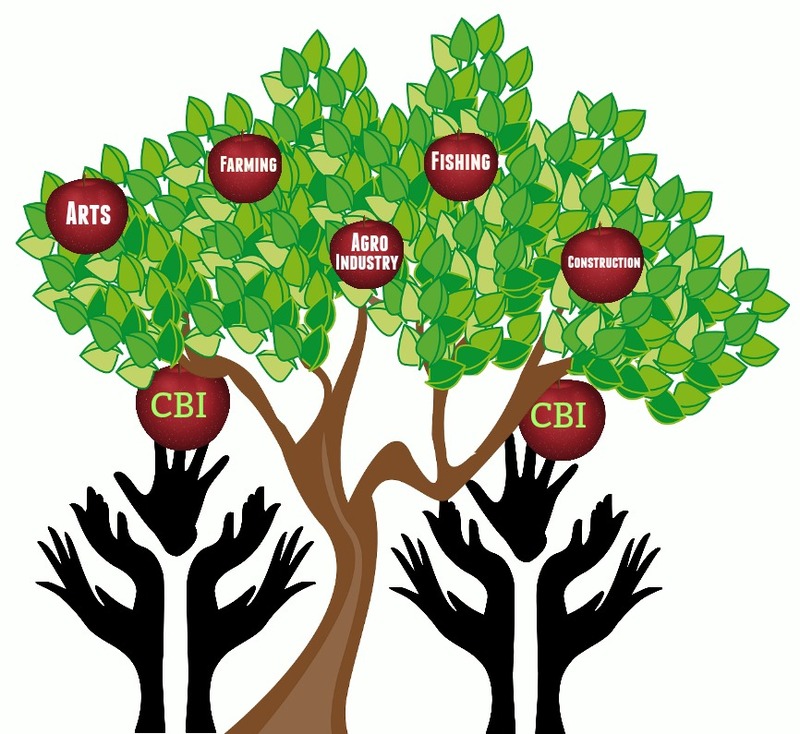 In contrast, there is not a single major agricultural developmental initiative that can be identified as a CBI-Funded undertaking. Why? This is particularly troubling, especially in an island with topography that is more suited to agriculture rather than 'classic tourism product'. As a result, the program appears to lack focus and coherence. Hotel development is getting the cream while the rest of the island is left with the crumbs. Agriculture, Agro-industry and other feasible endeavors are left to languish. Lately, to satisfy grumbling in various regions, the Labor Party Administration has started disbursing funds to minimally defined, unsolicited 'small business' initiatives and various 'community projects (again ill-defined and poorly construed) to quell growing discontent. 7) In Dominica CBI Program, a major flaw relates to the absence of Independent Oversight and existence of Extra-Executive management (it is never clear who controls all stages of the process from identifying clients to receiving payments for passport). Accordingly, the program is prone to mismanagement and abuse; it is at high risk for Diversion and, potentially a bonanza for Crocks and Scoundrels acting as sales agents or other functionaries. The amount of funds generated under Dominica's ECP and the recently 'upgraded' CBI over the last fifteen years is neither publicly available nor accessible. It appears to be a secret. Why? At the most recent sitting of Parliament, under questioning from the Opposition in Parliament, the Minister of Finance (Roosevelt Skerrit) recently revealed funds derived from passport sales that available in various government accounts. The public needs more details; it their monies and does not Labor Party or Roosevelt Skettit. ECP and CBI has provided Dominica with benefit, but at a high cost to its people. Given the duration of the program, those benefits have not been easily discernible. Due to Labor Administration incompetence and mismanagement of the island's resources, a program that was supposed to augment development has morphed into the main source of foreign exchange and income for the island. This both frightening and unsustainable. It is time for the current administration to appreciate that CBI and similar program cannot replace properly designed, comprehensive development strategy that can stand the rigor of regional and international scrutiny. Given the financial risk to Dominica, as CBI faces increasing internal constraints, the island has arrived at a juncture where the people can no longer afford to bury their heads and hope the problem will evaporate. The current Administration must descend from its arrogant posture and start working with the opposition parties, farmers, hotelier, business organization and other stakeholders to fashion a development strategy for Dominica that is not entirely dependent on a shaky entity, CBI. Like all good things, CBI will eventually recede and reach a point of diminishing returns. Without a carefully designed long term development strategy, what will be the alternative(s)? There is a wealth of talent within and outside of Dominica, who can sheppard the island in the proper direction ahead of a potential disaster. The current Administration needs to harness that potential or 'step aside' as they do not appear to foresee a potential disaster.